Other filmmakers like Orson Welles, D.W. Griffith, and Alfred Hitchcock have been stylistically influential to younger filmmakers, but Roger Corman has been influential in a more concrete sense. He's a savvy businessman and possesses a keen eye for talent. This autobiography not only tells the stories behind such B-movie classics as The Little Shop of Horrors, The Masque of the Red Death, The Intruder, and Creature from the Haunted Sea, but tells the story of how Corman launched the careers of actor Jack Nicholson, directors Francis Ford Coppola, Jonathan Demme, James Cameron, and Ron Howard, screenwriter Robert Towne, and producer Jon Davidson, as well as many others. Although his story is inspiring, this book has its faults. 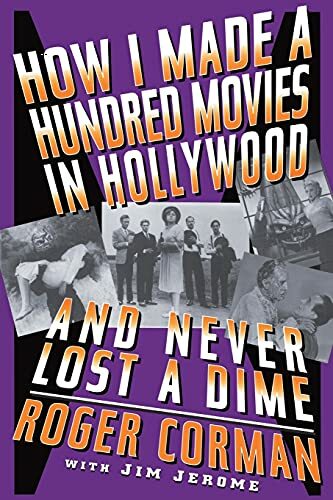 Corman is more than a little pleased with himself, and the book lacks any kind of index or filmmography to help the reader keep track of his phenomenal career as a director/producer. But any book on Corman is worth reading, and this is the best one so far.